This edition of Excited about Eating takes us to Brandon, Florida to an area where I spent the first fifty years of my life. Brandon is located east of Tampa, Florida and sports a population of over 100,000. Only down for a quick weekend, we managed to squeeze in visits to three of our favorite eating establishments. 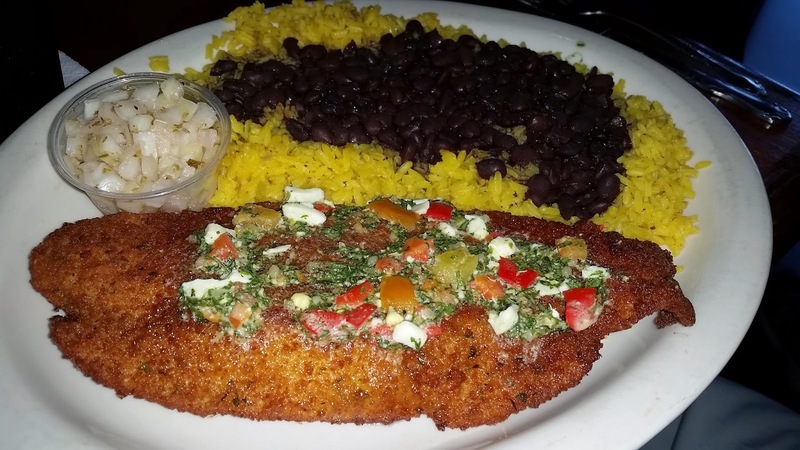 We couldn’t visit Tampa without stopping in at our all-time favorite Spanish restaurant, La Septima, surprised to find that they’d moved a few blocks down the road. We started with the Yuca Fries. Yuca is starchy, much like a potato. 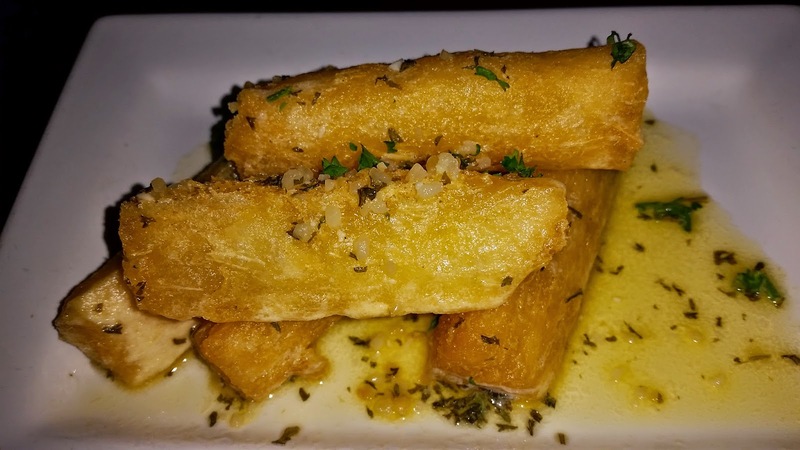 Cooked yuca tends to be a bit mushy, but fried yuca is crispy on the outside and soft on the inside, and La Septima sprinkles theirs with cheese. 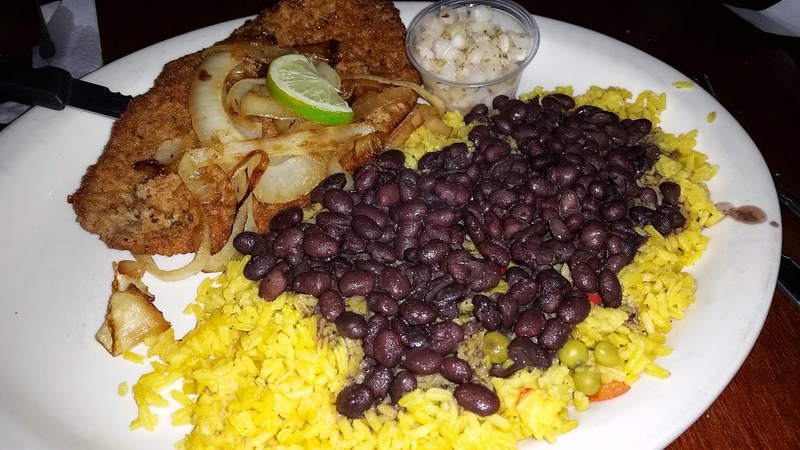 I chose the Pescado a la Rusa, whitefish filets, fried and topped with a Russian-style sauce (butter, parsley and hard-boiled eggs), complemented with yellow rice and black beans. The fish was tender and flaky, and paired perfectly with the sauce. I would rate this restaurant 4 forks out of 5 forks for a family friendly restaurant serving great food. The second visit was to our favorite BBQ place. 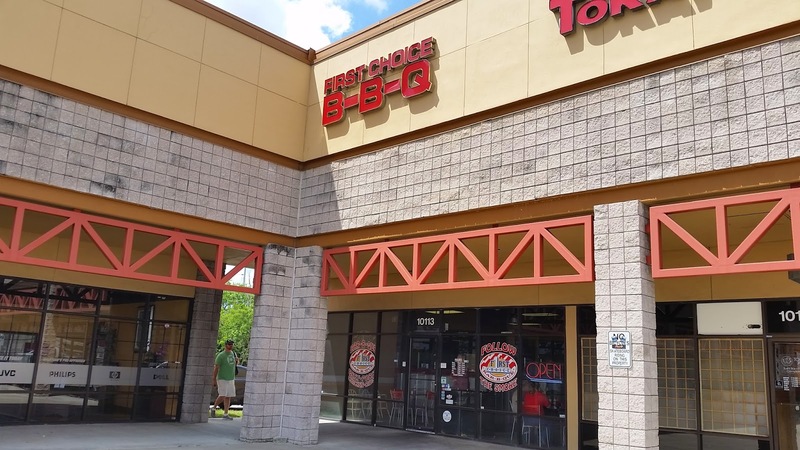 Tucked into an obscure corner behind the Adamo Home Depot, you could probably follow your nose to FirstChoice BBQ. The combination plate includes pork ribs, sausage, fries and baked beans. The food was just as I remember from 8 years ago. The sausage was smoky without being spicy, and the ribs were fall off the bone. The fries, made from fresh potatoes, were just crispy enough and the beans were molasses-sweet and tasty, great for dipping fries. Definitely order the fritters. Crispy on the outside, but tender and moist on the inside, they’re not sweet, more savory since they stuff them with pork morsels. They are the most unique tasting, and that is in a good way, fritters I have ever tasted. Dora here. My fave is the chopped pork with fries and baked beans, but the turkey is also a close second. Today I chose the pork. Made me want to close my eyes and just savor the flavor so I could tuck it in my memory for the next few years! We lucked out getting here early on a Saturday because normally the line is out the door. And don’t come all dressed up. It’s warm and you’ll smell like woodsmoke when you walk out, but that’s all good because the food is worth it. Our last choice was Babe’s Pizza. This favorite local pizza joint has a model train tracking around the ceiling of the restaurant and a bar to watch them make pizza, definitely a kid pleaser. The large Greek salad easily fed five, and the fresh ingredients made it better than average. We also ordered cheese bread, thick slices of mozzarella cheesy goodness. Go for the gusto with the double decker pizza, thin dough topped with mozzarella and your selected ingredients, and then loaded with a second layer of everything, basically two pizzas in one. 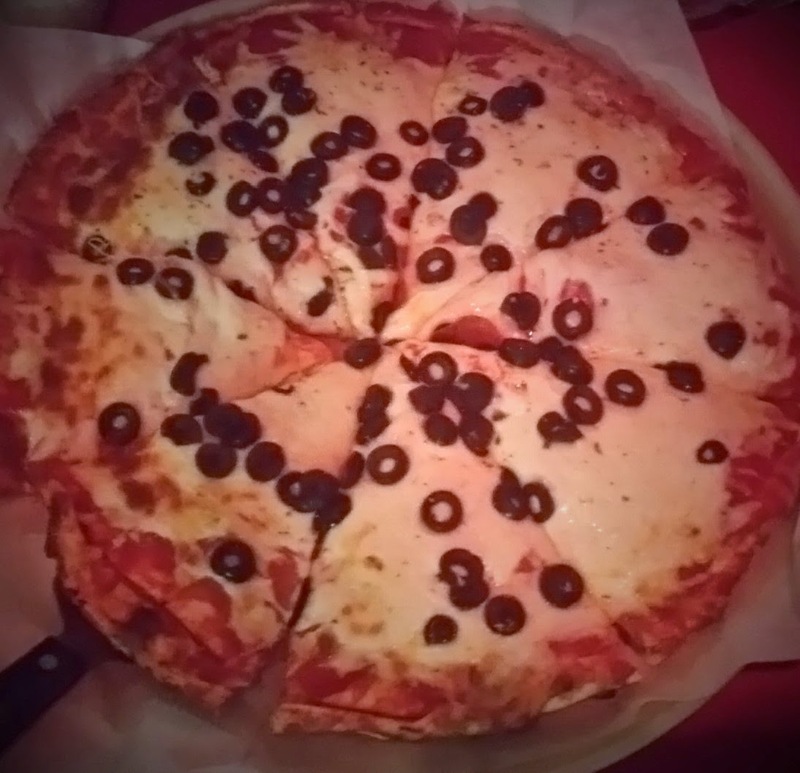 We ordered one with pepperoni and banana peppers and the other with pepperoni and black olives. Both pies were great, just the right amount of sauce and cheese, and not too greasy like you sometimes get from thick pizzas. 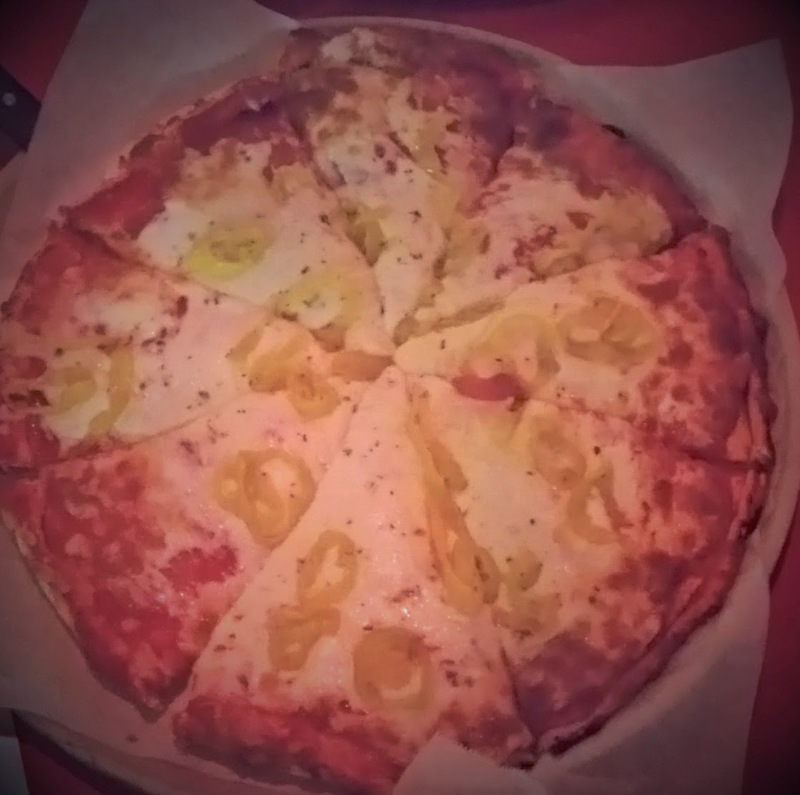 Definitely the type of pizza that you only can eat a couple of pieces before you are full. Dora here. Definitely carb overload, but oh-so-good!